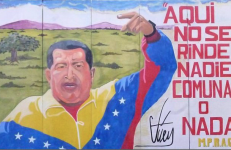 “The communes should be the space in which we are going to give birth to socialism.” – these were the words of Hugo Chávez in one of his famous presidential broadcasts. To discuss the Venezuelan communes and the new forms of participation, as well as its successes, difficulties and contradictions, we have interviewed Dario Azzellini*. He has investigated and documented theses issues throughout the Bolivarian Revolution. His book Communes and Workers’ Control in Venezuela has recently been released in paperback by Haymarket Books. In your book you talk about a “two-track process” in Venezuela, from above and from below. Can you explain this? Traditionally, some people have a vision that change is coming from above, so you have to take over state power and the government and then you change everything from above. Others disagree and defend that you have to do everything from the bottom-up and the grassroots, and overcome the state. I think Venezuela shows that the state is there, whether you want it or not, it does not go away if you ignore it. On the other hand, we also have the experience that if you try to change something from above without having the self-organised structures in society to sustain it, then the conscience of people is not really changed and everything can fall apart like a house of cards a few seconds after you lose state power. A characteristic feature of a few recent processes in Latin America, and in Venezuela especially, with all their difficulties and contradictions, has been the combination between certain kinds of changes and reforms from above with a strong self-organisation on the ground. Also if we look at it, especially in Venezuela, many of the proposals that were successful, from the recuperated workplaces to the local self-administrations of communal councils and communes, were things that were created by the people, at the bottom, and then picked up by Chávez and turned into government policies. The “two-track” approach means that you have at the same time these efforts for change from above and from below. From a logic standpoint, you can have a bottom-up logic in some state institutions as you can also have a hierarchical top-down conception in some of the grassroots movements. So it is more complicated than it seems. What are the contradictions that emerge? There are strong contradictions, it still is a constant relationship of cooperation and conflict. Because these are two completely contradictory logics, even if they declare to pursue the same objectives. The logic of an institution is always to measure everything with statistics, whereas the social logic is often not measurable in statistics. When I was working in Venezuela with communal councils, you could have the communities, for instance, starting to meet once a week to watch a film together and then discuss. Or they could start cooperating with the adjacent community council on some common issues, maybe solving some conflict that had long existed between the communities (and nobody remembers why!). At the same time, from an institutional standpoint, a government body or a ministry that is responsible for the construction of these communal councils, has to prove its worth to the next institutional level, it has to measure something. Watching a film or cooperating with the neighbouring community cannot be fit into any statistic. But if this community builds 2 kms of a new asphalt road, then it is great! We can report the 2 kms of road, the cubic meters of asphalt needed, and the money spent, to show they have been doing something. However from a social and political logic, it is much more valuable to watch a film or cooperate with the other community. The logic of the institution is always a logic of representation and it is always questioning any non-representational body even if they formally agree with it. Someone sitting in an institution, who has to explain to his boss and institution what he has been doing, is weary of letting the people decide. What if the people decide wrong!? Thus he may feel inclined to decide himself what is best. You have these contradictory logics all the time. Moreover, there is the contradiction of a power asymmetry. The institutions control the finances and have privileged access to media and other institutional levels. Therefore this power asymmetry has to be taken into account. What about situations in which the state was (at least in principle) on one side, like struggles for workers’ control? You still find these contradictions at play in cases like workplace occupations. For instance, workers would occupy a given company, and an institution that was very eager to support them would come in immediately, and after two weeks expropriate the workplace. But the workers did not have the time to form a collective, to grow in the struggle, to really figure out what they want. This expropriated workplace would then hardly ever make it into a self-organised, worker-controlled workplace, because it could not grow organically. At the same time the institution that intervened or the new administration might have no interest in surrendering control to the workers, or even actively sabotage and hinder workers’ control. And once the workers’ councils were introduced, they tried to undermine them, co-opt them, or reduce them to consulting bodies without any real power, while workers fought and still fight for workers’ participation and control. So that is why I say it is a constant logic of conflict and cooperation between these two: between the constituent power (workers, grassroots movements, etc.) and the constituted power (state institutions). And that is the motor of history. Therefore with all the problems that have plagued recent Latin American processes, due to pressures from the outside, from the right, from the inside, from mistakes that were made, etc., what happened over the past 20 years has the imprint of both the constituent and constituted power. And it is based on the friction between these two powers. From the very start of the Bolivarian Revolution, and with the 1999 Constitution, there is a new emphasis on participation and protagonist democracy and there are several experiments, some successful, others not so much, until you arrive at the communal councils. Why were the communal councils the first ones to really succeed? From the very early 2000s the Bolivarian government was already thinking about mechanisms of popular participation in institutional decisions. The first examples mirrored experiments that existed in other places, like the participatory budgets. Then they started with experiments of creating bodies to bring together institutional (e.g. the municipalities) and grassroots representatives. And these failed, because those were still largely representative bodies with a very clear power inequality or asymmetry, like I described before. This made it impossible to have any kind of grassroots autonomy or decision-making. These difficulties were not exclusive to opposition mayors or municipalities, they also happened with chavista ones. The communal councils were the first attempt to separate these structures as much as possible (1). A communal council is the assembly of a self-chosen territory. In urban areas it comprises 150-200 families or living units, in rural areas 20-30 and in indigenous areas, that are even less densely populated, 10-20, and they decide themselves what is the territory of the community. The communal council is the assembly of all people of the community that decides on all matters. The communal councils form workgroups for different issues, depending on their needs: infrastructure, water, sports, culture, etc., and these workgroups elaborate proposals that are then voted by the community assembly to establish what is more important. Then they get the projects financed through public institutions. The financing structure that was created was no longer attached to the representative institutions at a local level, which would have brought them into this direct, unequal competition I had mentioned. Instead it was situated at a national or at least regional levels. And this created a possibility to have a more community centred, more independent, projecting and decision-making. How many communal councils are there in Venezuela? And how do we get to the communes? Nowadays there are formally 47.000 communal councils. Obviously that is a huge number and I do not sincerely think that all of them work as democratic popular assemblies. There will be many of them that probably do not really work, especially with the economic crisis. Others will be driven by a few activists that have the support but not the active participation of the community, while many others are really working as community assemblies. The next step was the creation of communes, which again started by self-deciding on the territory. They do not have to correspond to the official territorial divisions, they can stretch across different municipalities or even states. For example in the outskirts of Caracas you have communities that formally belong to the state of Vargas on the coast, but because of the cordillera they do not even have a road connecting them to Vargas. Their infrastructure and cultural links are with the city of Caracas, so they form communes together with communities that are officially part of Caracas. Communes in urban areas are usually made up of 25-40 communal councils, and in rural areas between 6-10 or 15, it depends. And also have the participation not only of the different community councils but also of other organisations existing in the territory. These may be peasant organisations, or the community radio, or organisations like the Corriente Revolucionaria Bolívar y Zamora. All organisations existing in the territory take part in the assemblies of the commune. How do the communes function? The commune is again only a place to coordinate proposals and take them further. The basic decisions are still taken in the communal councils. And the next step beyond that would be a communal city, which would not necessarily be structured as a city, but rather it is made up of different communes. There are a few communal cities, even if there is still no law about them! This is a familiar pattern. The communal councils started being built from below, with different names, some even had institutional backing, and no law regulating them. Then Chávez saw these assemblies and named them communal councils, and by the time the law was drafted in 2006 there were already some 5000 of these councils running. The same thing happened with the communes. They started to be built exist because the communities needed a bigger structure to decide on bigger projects, and by the time the law of communes was passed there were already hundreds of them in existence. And they had to pressure the institutions to recognise them and register them officially as communes, because during the first years the institutions were declaring all communes as “communes under construction”. From an institutional logic, it is in their interest to declare as many communes as possible as needing their support. Once a commune is declared as functioning that is no longer the case. So in the end the communes needed to force the institutions to register them. And how many communes exist nowadays? Now there are around 1600 registered communes. Again, as with the communal councils, I would say they fall into three groups. Some are not really functioning after state support disappeared because of the crisis, others keep on functioning because of some well-organised activists that do the heavy lifting, with the support of the communities but without the assemblies meeting regularly, and other ones that are still functioning well. One thing that I would definitely say is that the communes that are working are the structures that are being more successful in confronting problems that people are facing. There are interesting experiments with huge community controlled production facilities, or closed-down workplaces that were taken over by the community and the workers to set up all kinds of production. During this very difficult crisis, that strains social networks by pushing people to more individualism, these things are very relevant. What has been the role of women in these participatory bodies? Women have been the driving force. In the community councils, especially in urban areas, I would say over 70% of the people taking responsibility and pushing the struggle are women. There are many reasons for this. On one hand the rentier model of Venezuela has generated lots of speculative and informal activities that do not always supply regular work, and this naturally becomes worse in times of economic difficulties. But while this affects men mostly, women retain the experience of regular work because of all the other responsibilities (children, domestic work, etc.). Therefore women are very much the centre of the household, and the centre of community life. This also has historical roots. If you read anthropological literature, in a Caribbean societies like Venezuela, the trans-Atlantic slave trade implied that men were sold more often, and thus women were the more stable part of slave society. This is some kind of late consequence of that, reinforced by the long-standing economic model. I think that one of Chávez’s extraordinary capacities was that he was able to pick up what the people were doing, and what was working, and then function as a kind of loudspeaker! He would propagate these things that he saw as being successful, something that political scientists might call “good practices”, and make them widely known. And obviously because he was so charismatic and people trusted him, he was able to make them immediately discussed and propagated, so they would expand. So contrary to the general perception like you say, most initiatives that Chávez launched and were successful, succeeded because they were practices that the people were doing already. He broadened them, made them better known and helped them expand, and at a certain point gave them a legal standing. This of course is not exclusive to Venezuela. For example the workers of Rimaflow in Italy (2) used to discuss how every law favouring workers in Italy came into being after the practice already existed, after different struggles and strikes had already forced them into place. So even in what can be considered as a favourable context like Venezuela, these “good practices” are often implemented first and later made legal. On the larger issue of the communes, Chávez stressed very often that communes were the “Venezuelan way to socialism”. How do communes help us reach socialism? Well, according to Marx, the commune is the finally discovered political form to emancipate labour (3). It is a step of decentralisation, of local self-government, that is connected to workers’ and community control, which is very important as a step towards socialism. It makes it possible to create different values, to create a different consciousness from the bottom-up, to create a self-organisation oriented towards the collective advancement of people in communities beyond capitalism. The communes allow for a tendential overcoming of the separation between political, economic and social spheres, turning more resources into commons, to be managed by the community. (I say tendential because this is still a parallel structure amidst still existing representative, institutional structures, and capitalism in general.) This is what socialism was in the imagination of Karl Marx and many others. Can we see these advances of these participatory forms of democracy in a more global context, connected to the failure of liberal democracy that we discussed before? Indeed. The last huge uproar of council socialism were the workers’ councils in the early 20th century. After that the model of representation also took grip of the left and the communist movements, imposing itself as the hegemonic model even for socialist transformations. So these currents become a minority while the Fordist model of production also reflected itself in an imagination of socialism as a representative, top-down paradigm. Now that Fordism is exhausted as a production model, liberal democracy as the political model serving Fordism is also at its limits. We should remember that the rights gained were not because of liberal democracy. They were forced on liberal democracy, they were won in struggle. For a while it was possible to push and advance progressive struggles within the framework of liberal democracy, but now it is clearly no longer the case. This is the reason why we are witnessing a resurgence of socialist/communist/anarchist ideas, whatever you want to call them, models of self-administration, of council democracy, of self-organised socialism. The first internationally visible case was the Zapatista uprising in Chiapas, we saw it in Venezuela like we have been discussing, but also in places like Argentina, Bolivia or even Kurdistan, always in different forms. We saw it in the workplace recuperations that occurred worldwide, we saw it in Occupy Wall Street and 15M, in Gezi and Tahrir, as well as plenty of other cases that we barely heard about, for example in Africa. In summary I would definitely say that there is a resurgence of these concepts and ideas of socialism based on direct, council democracy, on self-management, on self-organisation – on this long history of people themselves organising their lives. That is exactly one of the problems. Chávez was very clear about the idea of the council democracy replacing the institutional framework, and he coined this term of the “communal state”. Which is a bit of an oxymoron, because if it is communal it is not a state anymore! But this is a long-standing confusion in the whole socialist and communist movement. For example, Marx insisted that the Paris Commune was not a state at all, but a government, while the council communists of the early 20th century were mainly arguing that council democracy is not government (some of them later called it a proletarian state). Chávez insisted and was adamant that the communes should at some point overcome the bourgeois state. It is not that clear whether the same view is held among government officials and institutional actors in the rest of Venezuela, there are many that see the communes as a kind of permanent parallel structure to the representative bodies. Yes, definitely. Local and regional administrations are very often in conflict with the communes because they see them as a direct threat, and they are a direct threat! That is the point of the whole thing! They are representing structures that have to be overcome by the communal system. Of course politically they are supposed support it and not fight it, but this goes back to the clash between the participatory/communal and representational logics that I talked about before. Let us talk about workers’ control, which is a subject that you discuss in great detail in the book. How did this logic of conflict and cooperation affect the struggles for workers’ control, for example in the basic industries in the state of Bolívar? It affected them in a very problematic way. The whole workers’ control struggle in Bolívar, in the heavy industries (aluminium, iron, steel), did not advance at all. Through the years there were a lot of efforts, but eventually they stalled, while at the same time the production also did not really advance. Corruption and sabotage involving local power structures, institutional resistance, and contradictions within the workers’ movement doomed the struggle to failure. The basic industries are in a really troubling situation today. In other cases, like state-owned Lácteos Los Andes (a big milk, yoghurt and juice producer) and in Aceites Diana (the biggest margarine and oil producer) there were strong workers’ struggles in 2013, and as a result the government agreed that the gradual workers’ control would be introduced, but still the question did not advance. There have been successes on a smaller scale, for example production facilities that have been taken over by workers together with communes. There is Proletarios Uníos, which used to be the Brazilian Brahma Beer producer, they are now bottling drinking water from a deep well. They have also set up animal food production, all in cooperation with the surrounding communes, for example exchanging with another worker-controlled facility that raises chickens. To conclude, there is a very clear economic crisis and economic war in Venezuela today. Where does that leave the model of communes and workers’ control? Is it still the way forward? I would say yes. With all the problems and contradictions that exist, the “new Venezuela” of the people, the new idea of socialism, of collectivism, is being developed in the communes and the communal councils and the recuperated workplaces. And this is not just an academic debate. We should remember for example that during the oil sabotage or lockout of 2002-03, the heavy industries and the oil industry were saved by workers taking control. The organised workers and communities have always offered the staunchest defence of the Bolivarian Revolution. But obviously with the economic crisis and the death of Chávez the current context is not favourable for the communes and for workers’ control. A few years ago there might have been an expectation that the government would solve everything, but nowadays most grassroots organisations, movements and communes are convinced that they are the ones that will have to build socialism. They support the government in avoiding a military intervention, fighting against the financial blockade and economic war, they understand that they need to close ranks otherwise even the possibility of discussing more structural changes will disappear. But they do not expect any significant steps towards socialism to be taken from above. Rather, they hope to be afforded the space to keep building socialism from below.